The crucial success factors are maintaining the quality of production, innovation and customer service. How to become a successful firm not only at home but also abroad is a question asked by companies every day. The age of globalisation and internet is favourable for firms that have lower production costs and a comparatively quality product. Savings are therefore sought in costs and less costly alternatives of quality material, which manifests, in the end, in further loss thanks to growing complaints. How is that tackled by the company Fatra? Simply: for over 80 years it has honoured quality as one of the key aspects of success. It is necessary to adapt to today’s market conditions but never for the price of losing the quality of products and subsequently the confidence of customers. That attitude has ensured a stable position of the company not only on the Czech market but also abroad where Fatra exports nearly 66% of its total production. Thanks to that, plastic products from Napajedla can be encountered in more than 50 countries of the world. Creating value for customers not only through quality products but especially maintenance service throughout the cooperation is another core step on the way to success of Fatra. The offer of specialised customer solutions from development, production up to consultancy – all that is an integral part of the quality ensuring a long-term and promising growth of the company. The most important products thanks to which Fatra has won the heart of its foreign customers include floor coverings, insulating foils, technical foils, welded inflatable products, breathable films and laminates, films for food purposes or extruded and injected products. The use of waste in the form of granulate in the production underlines the social responsibility of the firm thanks to which Fatra has repeatedly won the “Responsible Care” certificate for responsible conduct in chemical industry. What good would it be to have quality products without knowing the customers? Their needs and, at the same time, comparison with the competition are sought by Fatra at trade fairs, mainly abroad. It is the investment in participation at those events that has entrenched the position of Fatra in those markets. To listen to customers in their home environment simply pays off. 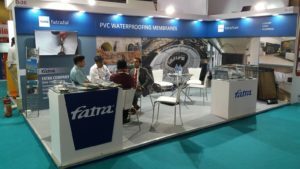 The Fatra floorings and insulation foils can be encountered at international fairs organised in the United Arab Emirates, China, India, Canada, Russia, Switzerland, Bulgaria, Germany, Hungary, Uzbekistan and other world destinations. The company has also participated in important foreign trade fairs focused on packaging, hygiene etc. Some fairs are inspirational not only with regard to the development of the assortment of products but also in terms of the development of Fatra as such. 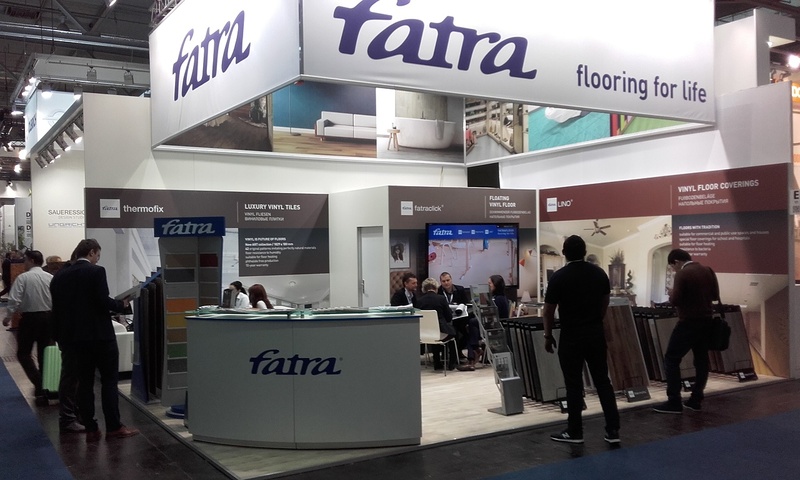 The experience from fairs has led to establishing a daughter company Fatra OOO in Russia where the firm develops trade mainly in flooring and waterproofing foils. The company has a significant presence in the UK, Hungary and the neighbouring Slovakia. Fatra therefore belongs to the category of internationally operating firms and it develops its business relations across the world. So when you travel abroad, turn your eyes to the floor sometimes. It is quite possible that the floor covering comes from Fatra based in Napajedla, Czech Republic. The history of the company Fatra dates back to 1935. At present, it is a member of the AGROFERT concern. The company operates modern technologies processing plastics in its production plants in Napajedla and Chropyně, Czech Republic. It has long ranked among important European plastic converters. In total, it has 1,300 employees. In its plants, Fatra produces PVC floor coverings, water-proofing foils, products from technical foils, plastic profiles, BOPET films for food purposes, breathable foils for hygienic needs, injected products and PVC granulate. In 2017, its sales of products and services reached CZK 3.8 billion and more than two thirds of the production were directed to foreign markets.